Most of you are familiar with the Tri-Strike, and I actually had the thought of resting the thing on the ground and using the ground as something to brace it against, to not only improve range and accuracy, but also to keep my shoulder from getting bruised to all hell. 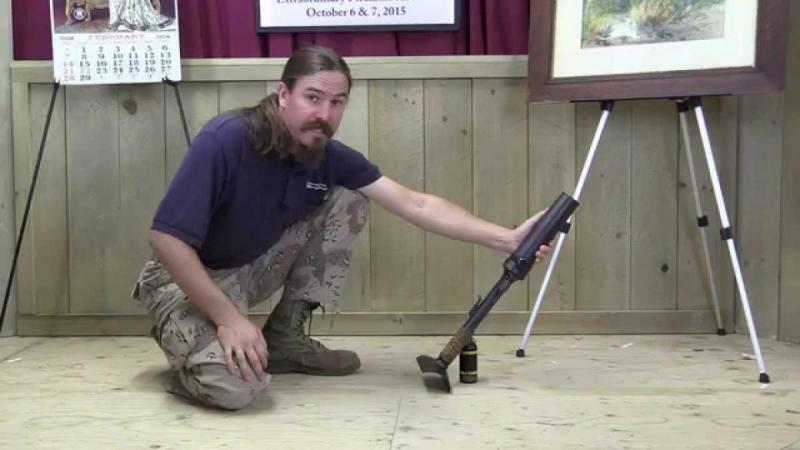 That is Ian from Forgotten Weapons with a Japanese Type 89 "knee mortar". 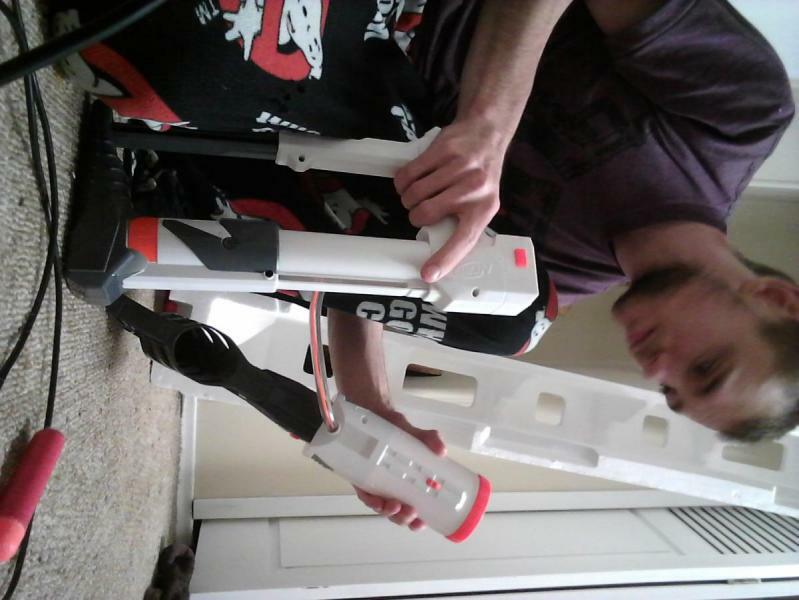 Note that he has the launcher and the tube resting on the ground at an angle. So I took the general idea of how the "knee mortar" was used, and I applied it to Nerf. In this case, the Demolisher stock provides a comfortable grip and a fixed rest to brace the launcher module against the ground, and the Tri-Strike stock is extended, rather like a plunger detonator for dynamite. The stock, being separated from the blaster module and braced solidly on the ground, can have one's entire body weight pushed into the stroke and this increases accuracy by not throwing the barrel off via the recoil of shoving the stock forward. High velocities and highly controllable groups were what I found trying this tactic out. 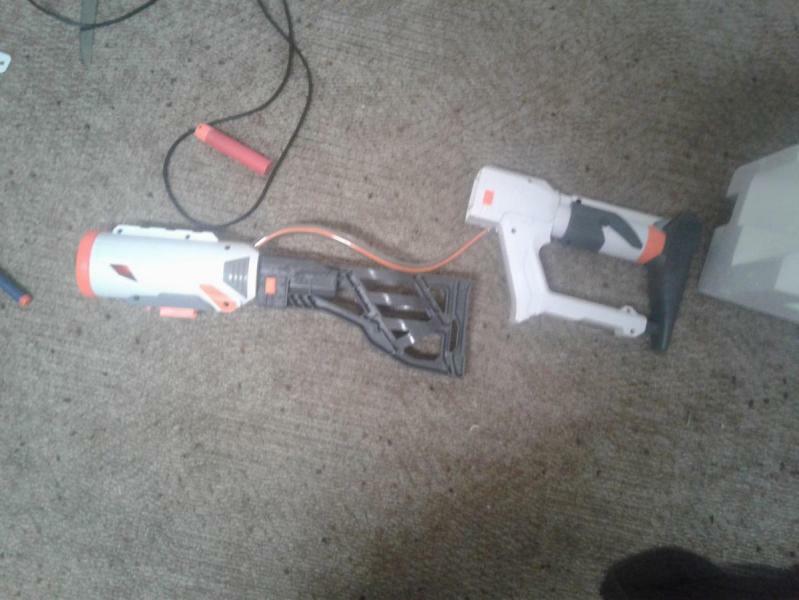 This can also be a flexible tactic- The pump can be braced on walls, solid furniture, or trees and the flexible tube means that you can point the tube like a pistol and not lose accuracy due to the force you exert on the pump, making it good for shooting around cover as well as good for direct and indirect fire. So, I hope you enjoyed this little experiment and I hope you'll consider trying this tactic!